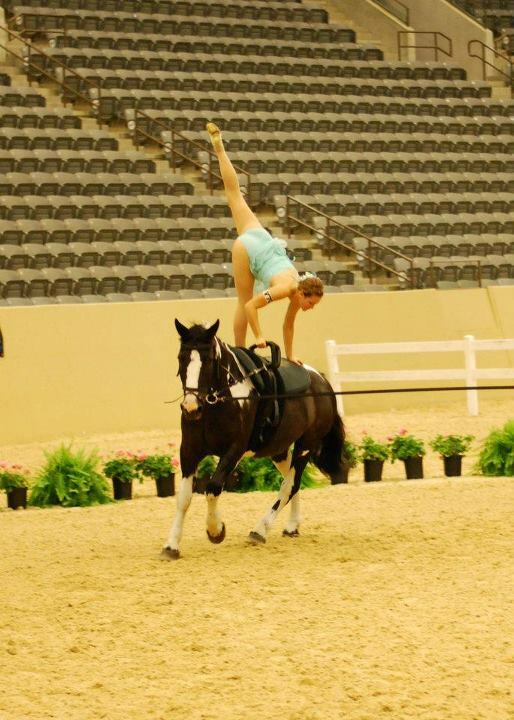 Vaulting is most often described as utilizing and performing dance and gymnastic moves on a moving horse. The origins of vaulting have been traced back to stone paintings of Scandinavian riders dated around 1500 BC. Many moves are based on moves performed by Roman soldiers while training for or in battles. 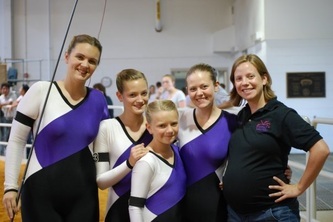 Vaulting develops coordination, balance, strength and creativity as well as promoting team work, responsibility, trust and self-confidence in the individual. 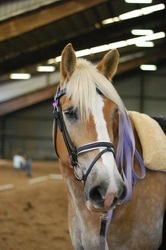 To see an explaination of the moves, visit the American Vaulting Association. Although very popular in the European Countries, vaulting is gaining momentum in the United States. Vaulting has been demonstrated in the Olympic Games as well as the World Equestrian Games. Vaulting is considered to be the safest of all equestrian sports. Site is currently under construction, please be patient.